The fashion house of Guerlain continues to create exciting and refreshing fragrances for men and women. You can order your choice of Guerlain perfumes and colognes for shipment right to you. Guerlain fragrances for women include L'Instant de Guerlain, which is available as an eau de toilette or as a concentrated eau de parfum gel. Guelain is described as a sweet scent that features notes of spice and orange flowers. Samsara is a classic scent that is based on florals that are blended with amber, sandalwood and vanilla. It is available as either eau de toilette or eau de parfum. 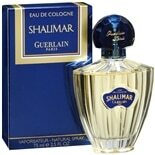 Shalimar is another Guerlain classic with an oriental theme, blending floral scents with amber and woods for an exotic scent experience. Eau de Shalimar combines citrus with vanilla and floral notes for a particularly refreshing fragrance, and Mitsuoko, introduced in 1919, continues to be a favorite among stylish women today. It blends exotic fruits with moss scents for a unique touch. Habit Rouge and Imperiale are two classic men's fragrances from Guerlain. Imperiale cologne combines citrus and rosemary for a casual, refreshing scent. Habit Rouge eau de toilette spray blends citrus, spices, leather and vanilla for a classic scent you can wear in the boardroom and the locker room. The men's version of L'Instant de Guerlain combines exotic scents, such as badian crystals and bitter cocoa bean, with sandalwood and lemon, and Guerlain Homme calls to mind the tropics as it is based on rum, mint, lime and cedar. Guerlain fragrances are perfect for you or as a gift for someone you love.